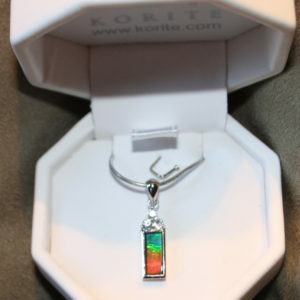 Ammolite is mined in southern Alberta by Korite International. The supply of Ammolite is extremely limited and with only one area for mining, Ammolite truly is one of nature’s rarest gems. 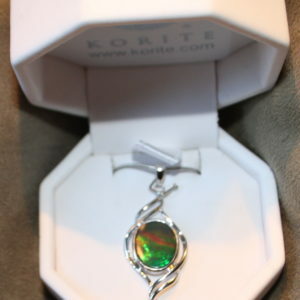 Korite’s eco-friendly Ammolite mine produces over 90% of the world’s supply of this incredibly rare gem. At current production levels supplies of high grade ammolite are expected to be completely exhausted in approximately 20 years. Experts within the feng shui circle have recognized the significant properties of the ammolite gemstone in their practice. This gemstone promotes the flow of “Qi” (pronounced chi) throughout the body, enhancing well-being and reducing the body’s toxicity. Ammolite’s rich colours stimulate creativity, energy, wisdom, intellect and wealth. Not only does it bring balance to a person’s body, but also to a person’s surroundings. When the stone is placed in the home, it promotes a happy family, and when it is placed in the office, it promotes good business dealings. 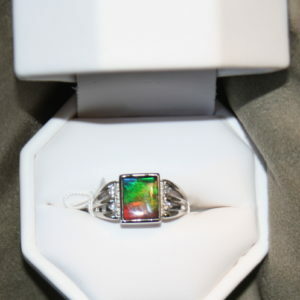 In essence, anyone who finds or possesses ammolite is entitled to wondrous prosperity and fortune.